Virtual reality will soon be actual reality at Facebook, as the social network announced its acquisition of immersive virtual reality technology company Oculus VR -- maker of the Oculus Rift virtual reality headset -- in a deal worth about $2 billion. Virtual reality will soon be actual reality at Facebook, as the social network announced its acquisition of immersive virtual reality technology company Oculus VR — maker of the Oculus Rift virtual reality headset — in a deal worth about $2 billion. The companies said Oculus will remain at its headquarters in Irvine, Calif., and continue development of the Oculus Rift virtual reality platform. The transaction is expected to close during the second quarter, and it is comprised of $400 million in cash, 23.1 million shares of Facebook class-A common stock (worth $1.6 billion based on the average closing price of $69.35 for the 20 trading days leading up to March 21), and $300 million in potential cash and stock based on reaching certain unspecified milestones. Mobile is the platform of today, and now we’re also getting ready for the platforms of tomorrow. Oculus has the chance to create the most social platform ever and change the way we work, play, and communicate. Our mission is to make the world more open and connected. For the past few years, this has mostly meant building mobile applications that help you share with the people you care about. We have a lot more to do on mobile, but at this point, we feel we’re in a position where we can start focusing on what platforms will come next to enable even more useful, entertaining, and personal experiences. This is where Oculus comes in. 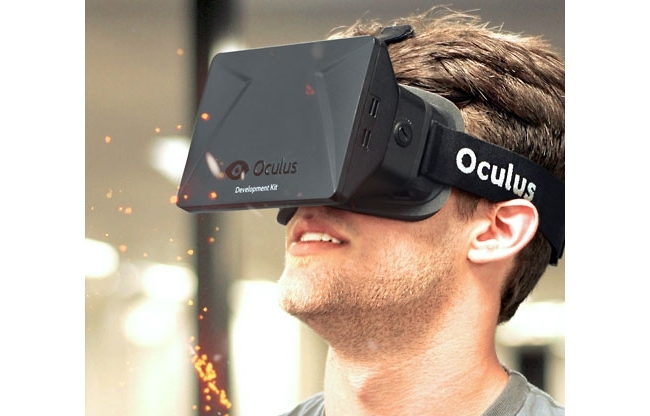 It builds virtual reality technology, like the Oculus Rift headset. When you put it on, you enter a completely immersive computer-generated environment, like a game, or a movie scene, or a place far away. The incredible thing about the technology is that you feel like you’re actually present in another place with other people. People who try it say it’s different from anything they’ve ever experienced in their lives. Oculus’ mission is to enable you to experience the impossible. Its technology opens up the possibility of completely new kinds of experiences. Immersive gaming will be the first, and Oculus already has big plans here that won’t be changing and that we hope to accelerate. The Rift is highly anticipated by the gaming community, and there’s a lot of interest from developers in building for this platform. We’re going to focus on helping Oculus build out its product and develop partnerships to support more games. Oculus will continue operating independently within Facebook to achieve this. But this is just the start. 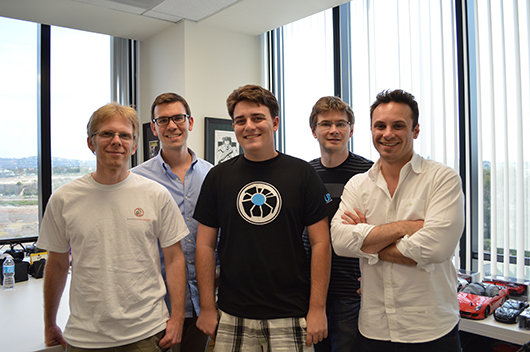 After games, we’re going to make Oculus a platform for many other experiences. Imagine enjoying a courtside seat at a game, studying in a classroom of students and teachers all over the world, or consulting with a doctor face-to-face — just by putting on goggles in your home. These are just some of the potential uses. By working with developers and partners across the industry, together, we can build many more. One day, we believe this kind of immersive, augmented reality will become a part of daily life for billions of people. Virtual reality was once the dream of science fiction. But the Internet was also once a dream, and so were computers and smartphones. The future is coming, and we have a chance to build it together. I can’t wait to start working with the whole team at Oculus to bring this future to the world, and to unlock new worlds for all of us. We are excited to work with Mark and the Facebook team to deliver the very best virtual reality platform in the world. We believe virtual reality will be heavily defined by social experiences that connect people in magical, new ways. It is a transformative and disruptive technology that enables the world to experience the impossible, and it’s only just the beginning. We started Oculus with a vision of delivering incredible, affordable, and ubiquitous consumer virtual reality to the world. We’ve come a long way in the past 18 months: from foam core prototypes built in a garage to an incredible community of active and talented developers with more than 75,000 development kits ordered. In the process, we’ve defined what consumer virtual reality needs to be and what will be required to deliver it. At first glance, it might not seem obvious why Oculus is partnering with Facebook, a company focused on connecting people, investing in Internet access for the world, and pushing an open computing platform. But when you consider it more carefully, we’re culturally aligned with a focus on innovating and hiring the best and brightest; we believe communication drives new platforms; we want to contribute to a more open, connected world; and we both see virtual reality as the next step. Readers: What else can you see Facebook doing with virtual reality technology?